Is it seriously November?! I can't believe how fast time is flying!! I'm linking up with Farley from Oh Boy 4th Grade to bring you this month's currently. I'm totally loving my new macbook pro! It's taking me a while though to back up my files and learn the differences from my PC. Example- it took me almost 30 minutes to figure out how to switch from landscape to portrait in powerpoint. It still came out rather wide- so I had to keep playing with it…ggrrr! I definitely want to get me some new TOMS, but I am soooo picky that sometimes I walk out of the mall with nothing…sigh. And I definitely need to finish my November pack considering I fell ill the past two weeks and wash't able to finish up my October pack. Boo! OHHHHH that recipe looks super YUMMY!!! thanks for linking up and the thumbnail problem is fixed now :) thanks for letting me know!!! Awesome you got a new computer - you will LOVE it once you figure it all out! Definitely use google to find all answers! People have some great tutorials! Have a great weekend playing! I am jealous you got a MacBook pro. I have been considering getting one for some time now, but just haven't done it. 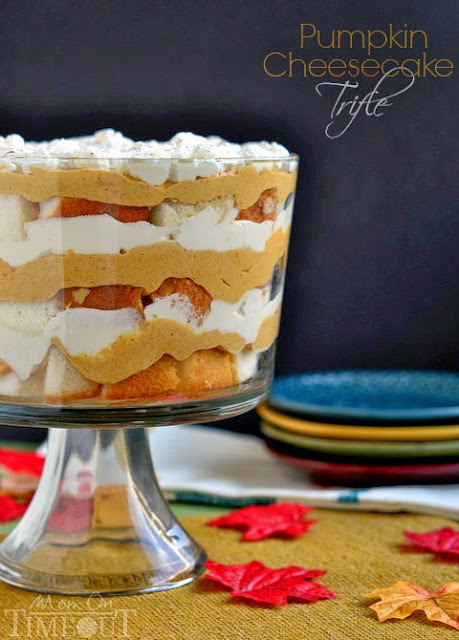 Good luck finishing your November pack and thanks for sharing that delicious pumpkin cheesecake trifle! I have a new MacBook Pro too. I'm in love with mine!